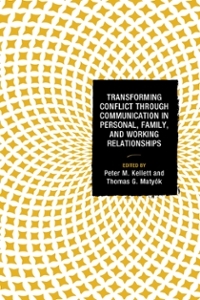 The Xavier University Newswire students can sell Transforming Conflict Through Communication in Personal, Family, and Working Relationships (ISBN# 1498515010) written by Peter M. Kellett, Thomas G. MatyÃ³k, Starla Anderson, Maria Blevins, Teresa Blevins, Ian M. Borton, Ross Brinkert, Amanda Smith Byron, Phillip Glenn, Kimberly K. Harp, Brian L. Heisterkamp, London Hill, Gwen Hullman, Jessica Katz Jameson, Rachel Markowitz, Joy Meeker, Claire Morledge, Gregory D. Paul, Elizabeth A. Pitts, Samantha Rae Powers, Linda L. Putnam, Lisa Raser, Sarah E. Riforgiate, Roy Schwartzman, Diane Sherlip, Tasha Souza, Mary Adams Trujillo, Nancy Vizenor, Lynne M. Webb and receive a check, along with a free pre-paid shipping label. Once you have sent in Transforming Conflict Through Communication in Personal, Family, and Working Relationships (ISBN# 1498515010), your Xavier University Newswire textbook will be processed and your check will be sent out to you within a matter days. You can also sell other The Xavier University Newswire textbooks, published by Lexington Books/Fortress Academic and written by Peter M. Kellett, Thomas G. MatyÃ³k, Starla Anderson, Maria Blevins, Teresa Blevins, Ian M. Borton, Ross Brinkert, Amanda Smith Byron, Phillip Glenn, Kimberly K. Harp, Brian L. Heisterkamp, London Hill, Gwen Hullman, Jessica Katz Jameson, Rachel Markowitz, Joy Meeker, Claire Morledge, Gregory D. Paul, Elizabeth A. Pitts, Samantha Rae Powers, Linda L. Putnam, Lisa Raser, Sarah E. Riforgiate, Roy Schwartzman, Diane Sherlip, Tasha Souza, Mary Adams Trujillo, Nancy Vizenor, Lynne M. Webb and receive checks.